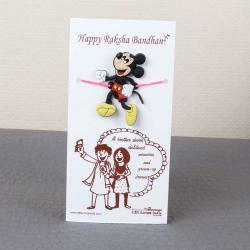 Product Consists: Mickey Rakhi for Kids nicely tied on a Designer Card. 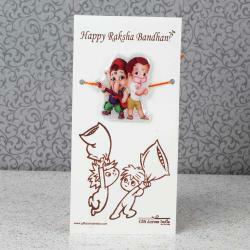 Rakhi is Hindu religious and secular festivals which celebrate and enjoyed by siblings. Raksha bandhan means bond of Protection. This festival celebrates the love and duty between brothers and sisters. Raksha Bandhan has been an important tradition in the history as well. Feel the adorableness of sister affection for brother through these selected Kids Rakhi. For your cute little brother, here Giftacrossindia.com comes with a beautiful range of cute cartoon characters Rakhis for you to make an excellent choice, So hurry up and choose the best one now. This Rakhi pack is sure to bring smiles on the faces of all your younger brothers on this Raksha Bandhan. 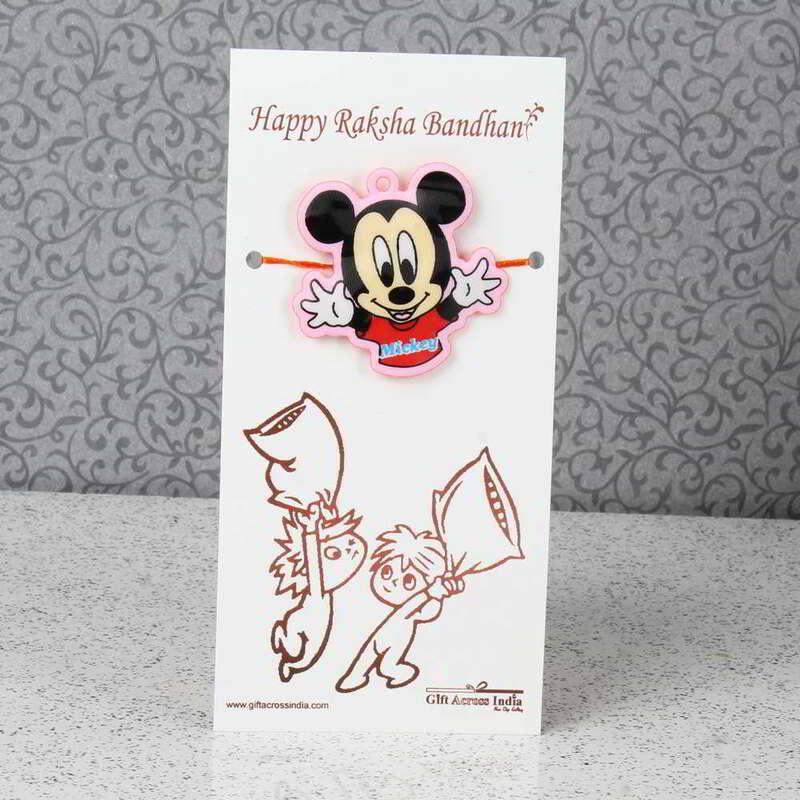 Make your brother happy by sending this rakhi it has design of kids favorite cartoon character style Mickey. 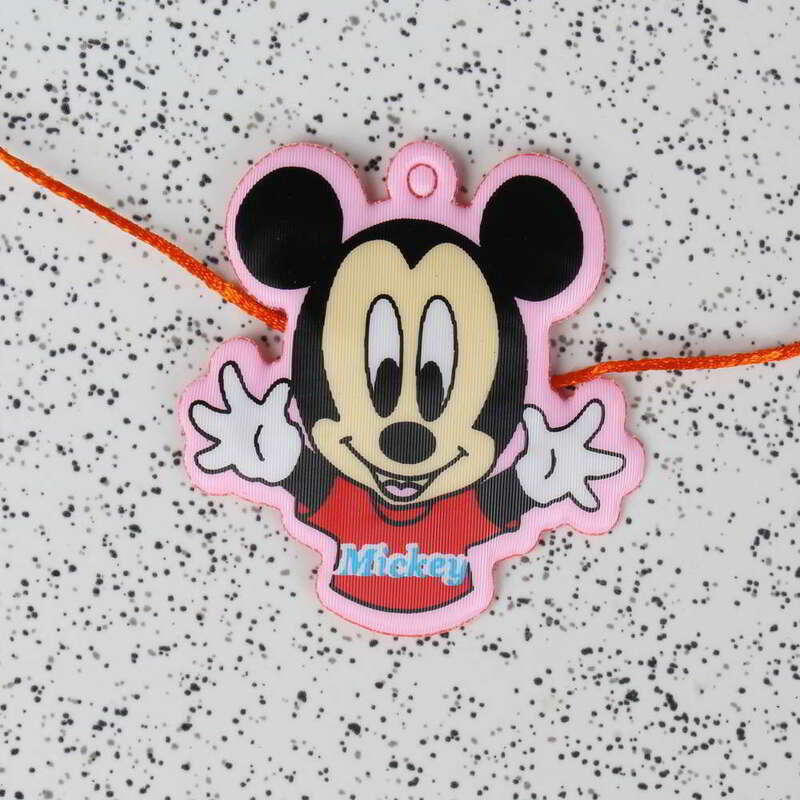 Product Includes: Mickey Rakhi for Kids nicely tied on a Designer Card.